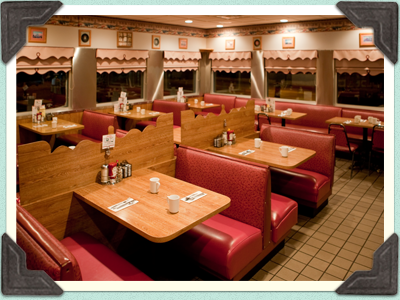 Terry's features an authentic 1950’s diner with stainless steel, terrazzo floor, and juke box. In addition there is a room for casual dining, and another for more elegant dining, parties and banquets. In the true tradition of diners, the menu is very extensive listing over 200 items - from breakfast (served anytime) to sandwiches, wraps, subs, salads, and full course dinners. Terry’s also offers a BYOB option, a special dinner and movie package, blue plate specials, and a children’s menu. Terry’s also specializes in after funeral gatherings, and food trays for bereaved families.